The title race is over. Much like the reverse fixture; United have to face Bournemouth following a crushing blow. Despite this encounter coming first, minds will be on the FA Cup semi-final next weekend. This is a repeat of the match that began the José Mourinho era at the club and his counterpart Eddie Howe will know how much pressure is on his opponent – a stark contrast to himself. In one of many midweek domestic fixtures, there might just another shock on the cards. Thrashed last time out as a result of the pace and directness of Liverpool, the men in red and black aim to play free-flowing football in their own yard but are certainly disciplined in a solid 4-4-1-1 allowing for counter-attacks and central power. A solid centre back pairing – who received praise last time out – of Nathan Aké and Steve Cook will be tough to break down. Especially, with experienced full backs Simon Francis (the team’s skipper) and Charlie Daniels (who can hit a ball as sweetly as anyone in the division) out wide of them. The role King plays is integral to the side’s transition. His pace and mazy runs allow for the team to advance as a unit with holding midfielders Lewis Cook and Dan Gosling squeezing up. Jermaine Defoe is a threat off the bench or even from the start (as his Premier League goal record speaks for itself) but long-time striker Callum Wilson will likely be preferred at home. On the flanks is where Bournemouth most express themselves as the young Ibe and Ryan Fraser produce trickery leading to goals & assists from the left & right wings respectively. Due to the embarrassing loss at home to bottom placed West Bromwich Albion in dire circumstances, Manchester City have won the title. Fans are anxious ahead of the season-defining semi-final at Wembley on the weekend but no one wants another mess down on the coast like two years ago. Key players have yet again been rumoured to be leaving the club in summer, such as Anthony Martial, Paul Pogba and even Marcus Rashford – in spite of all three playing huge amounts of minutes under their boss (who is in the rumour mill himself). During his Press Conference, Mourinho said “rotation is not the right word” and “if a player is phenomenal against Bournemouth, he will play in the semi-final”, evidently showing how much places are still up for grabs. Due to Sergio Romero still being injured, there’s a slight chance of Joel Pereira getting the nod if David De Gea takes a rest. 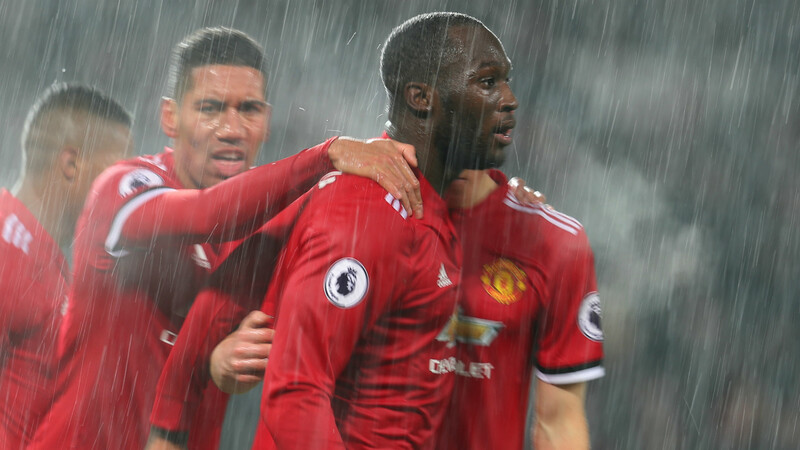 Phil Jones and Marcos Rojo are possibilities to return in the back line – as could Daley Blind, Matteo Darmian and Luke Shaw if they’re available. Marouane Fellaini and Scott McTominay (who have been on the fringes as of late) will add steal to the side but aren’t guaranteed a start. Jesse Lingard and one of Martial or Rashford may well replace Pogba and Alexis Sánchez if Mourinho wants to rest players.